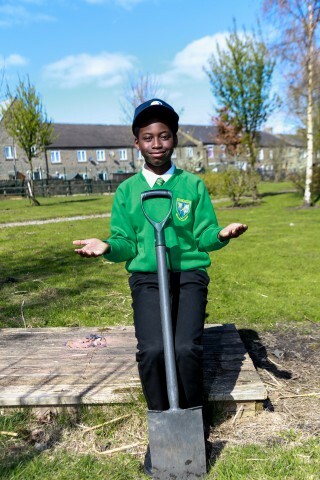 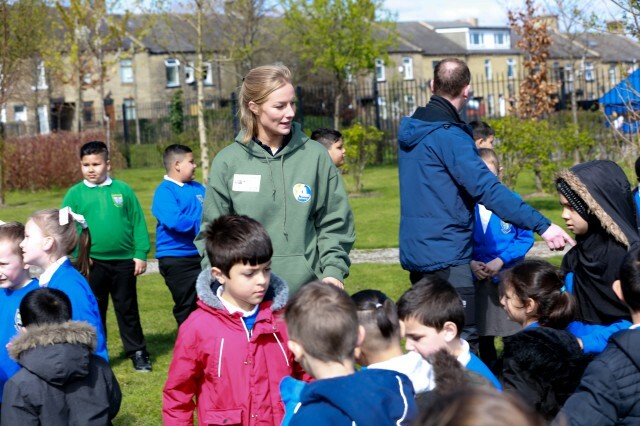 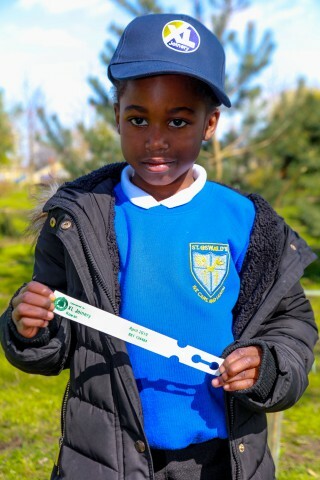 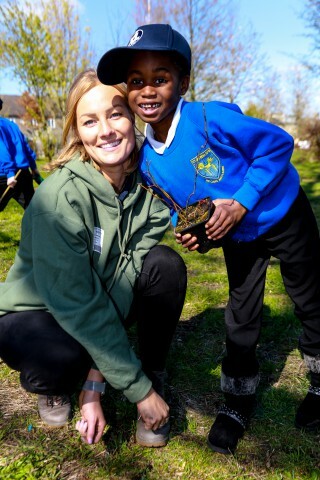 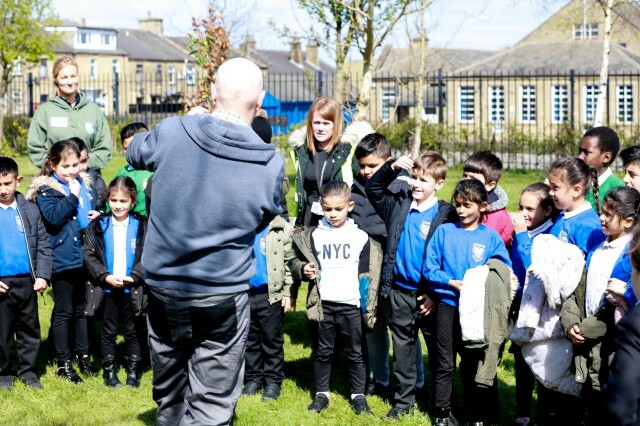 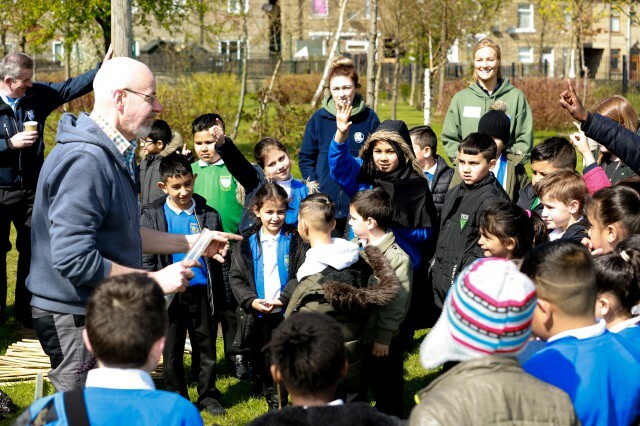 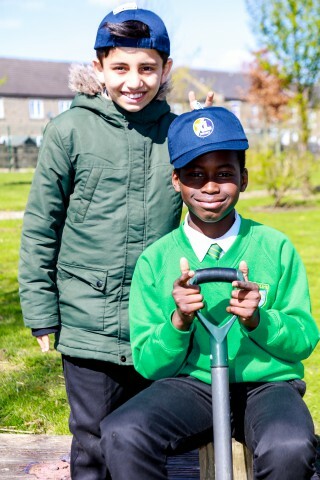 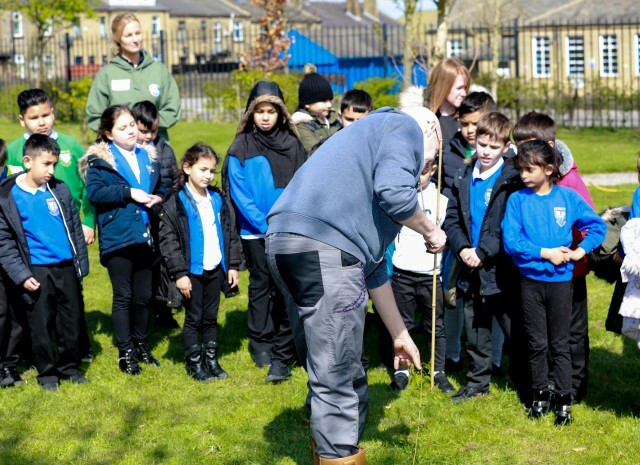 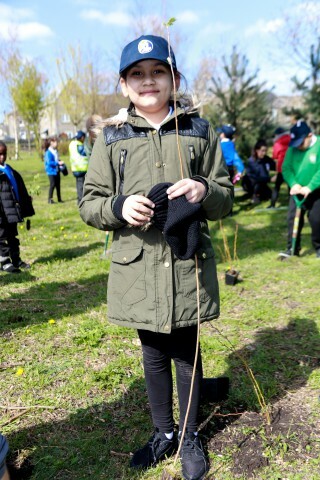 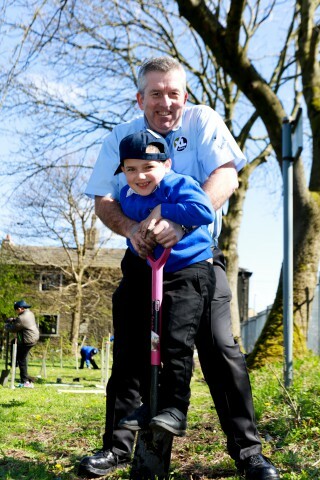 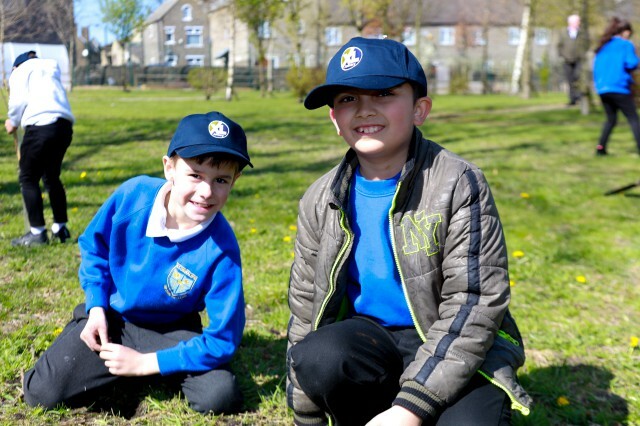 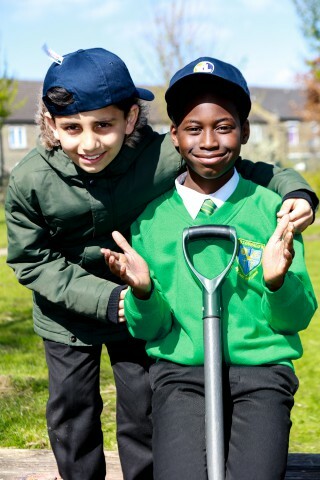 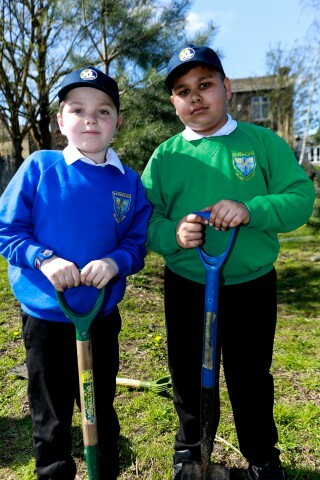 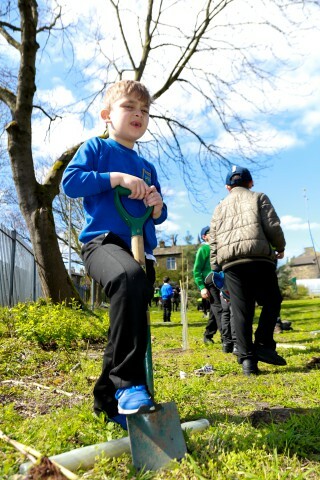 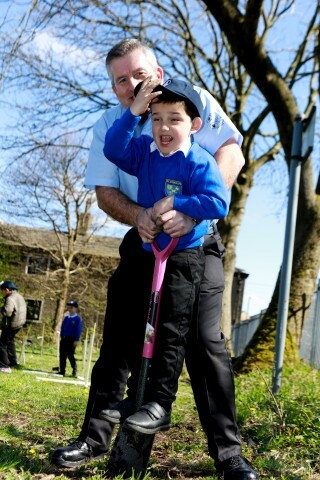 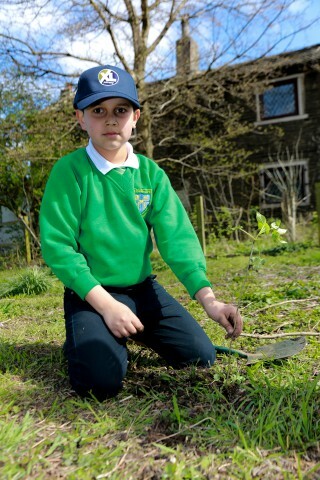 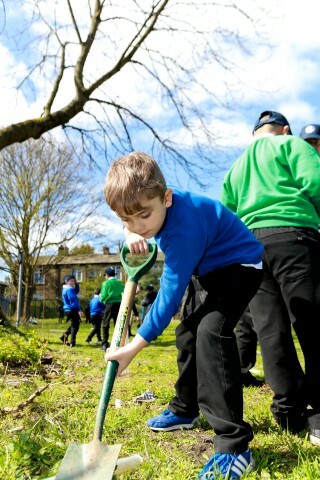 St Oswald's Primary in Bradford was visited by representatives of XL Joinery to help plant trees in the school grounds. 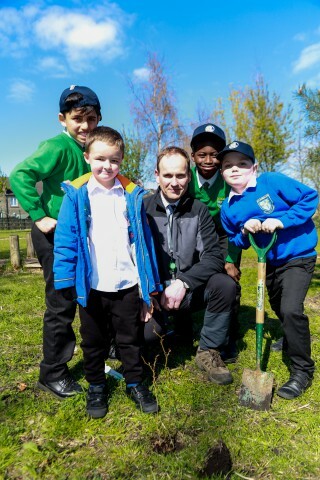 Pupils, staff and representatives of XL Joinery planted the saplings to create wildlife habitats and encourage biodiversity. 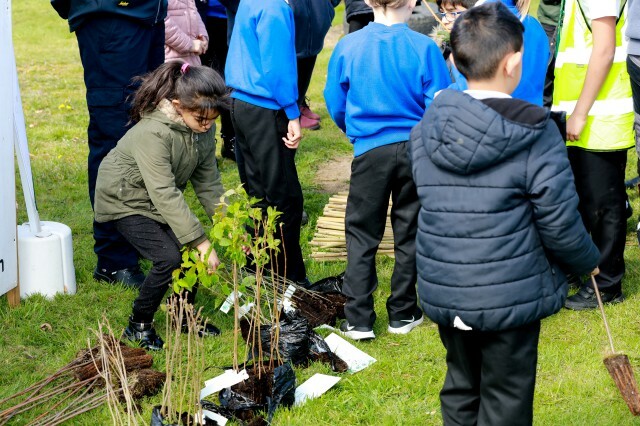 The trees were all native British species, grown in the UK and include Dog Rose, Hazel, Elder, Rowan, Wild Cherry and English Oak. 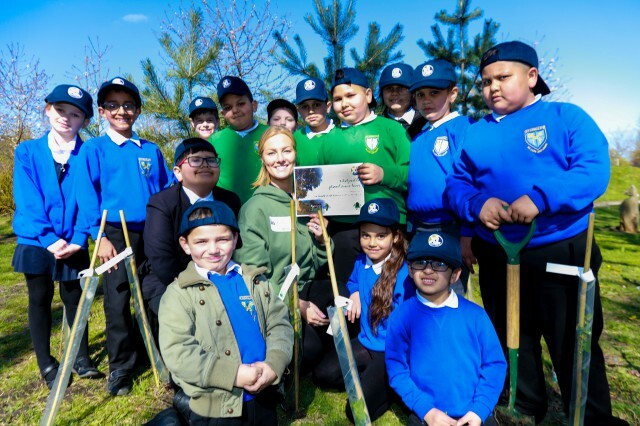 These new saplings will provide a perfect habitat for wildlife, promoting biodiversity and preserving the natural environment. 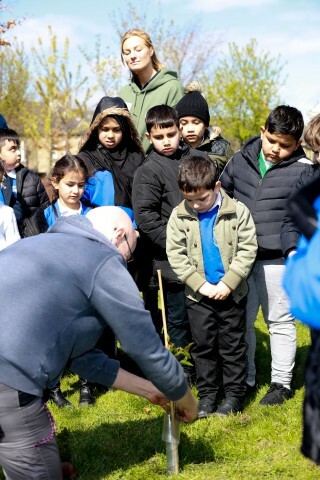 The children gained hands-on experience of how trees are planted and learned how important trees are to the world in which we live. 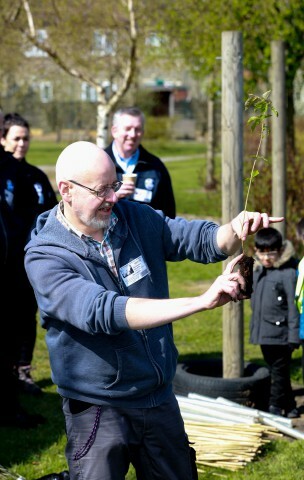 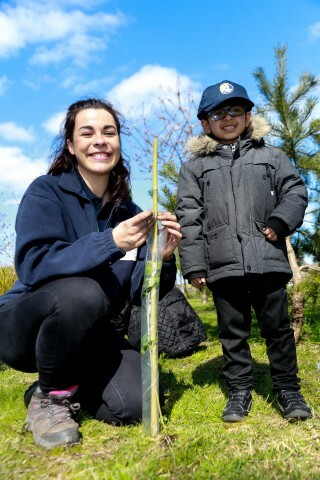 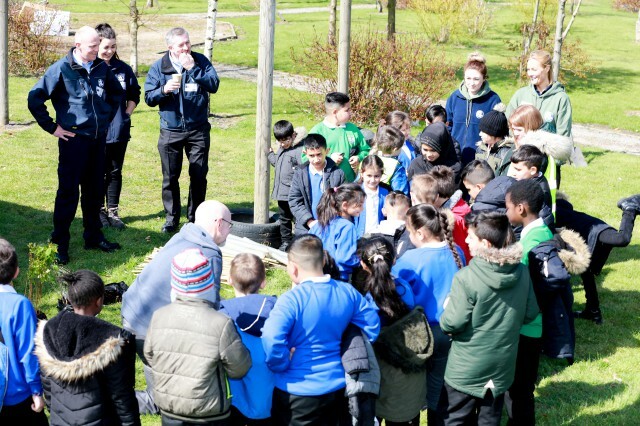 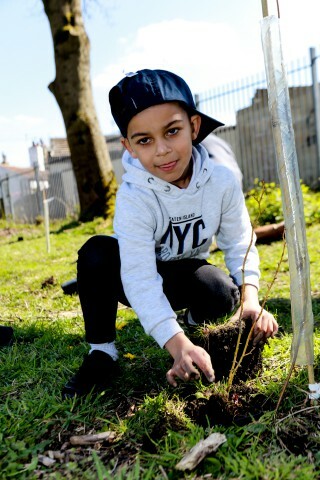 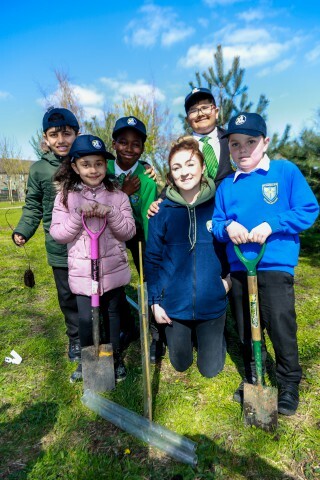 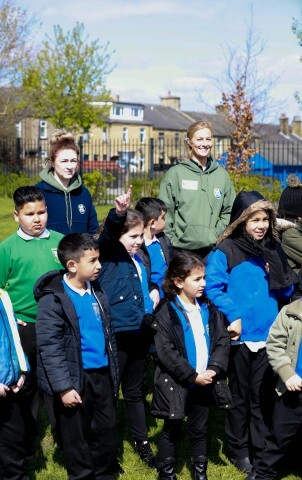 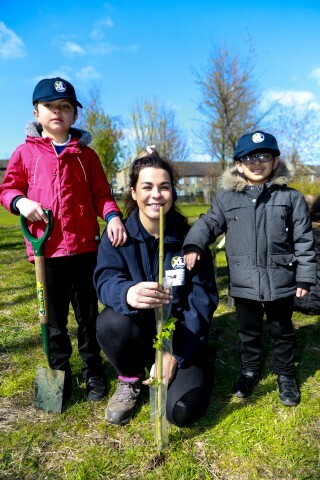 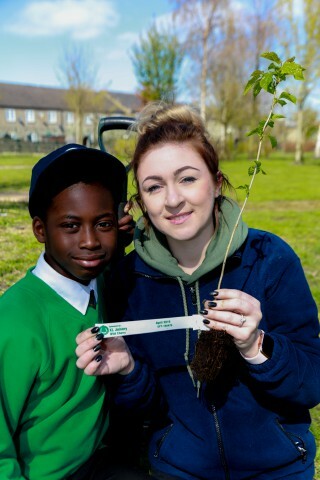 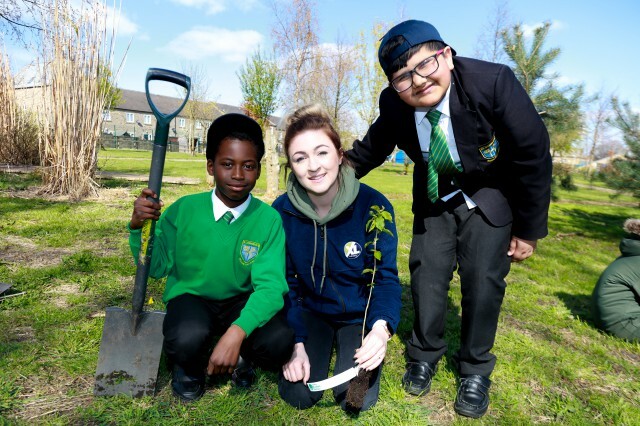 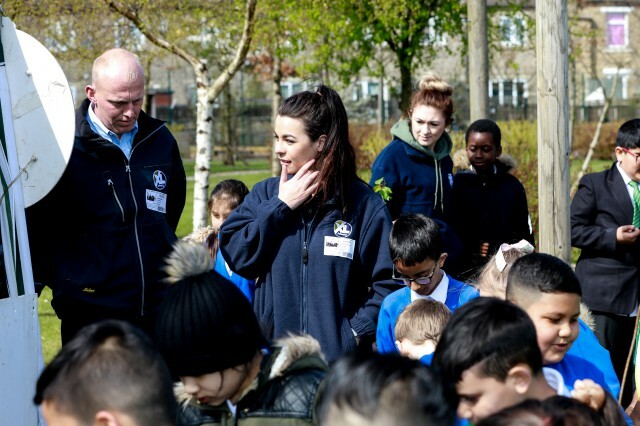 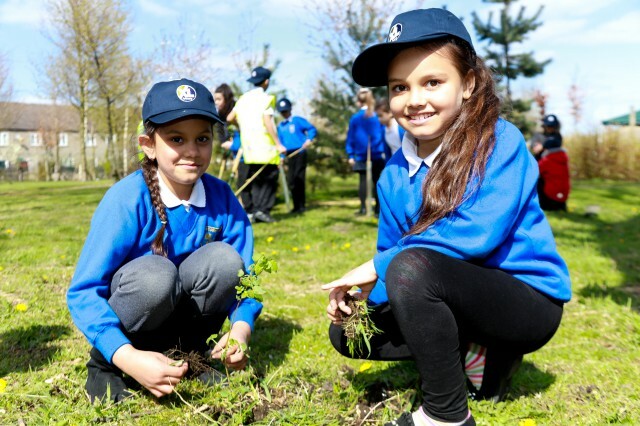 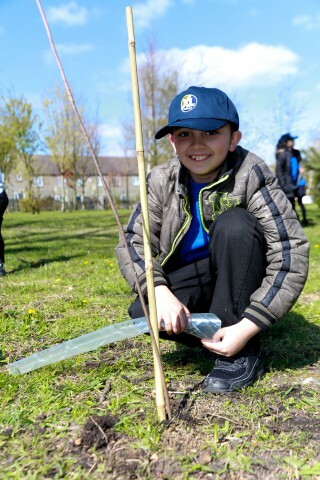 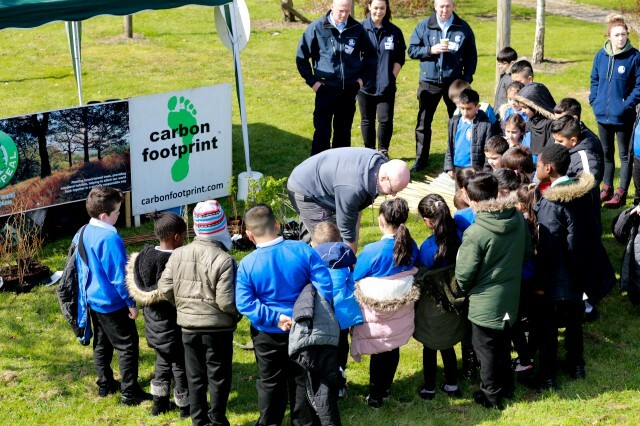 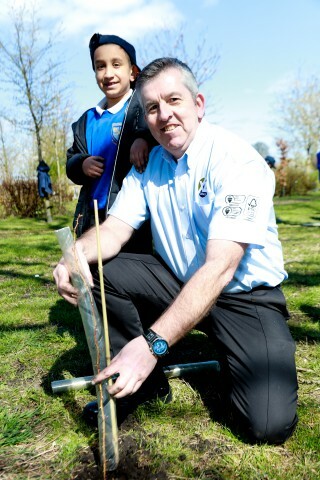 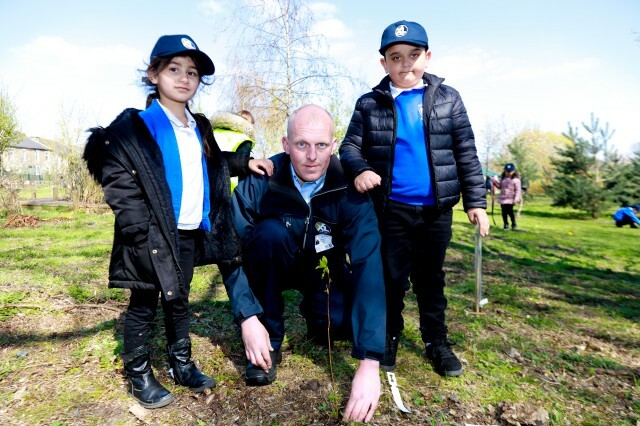 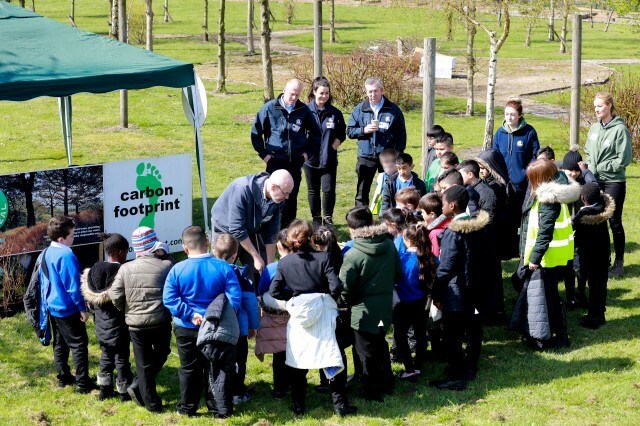 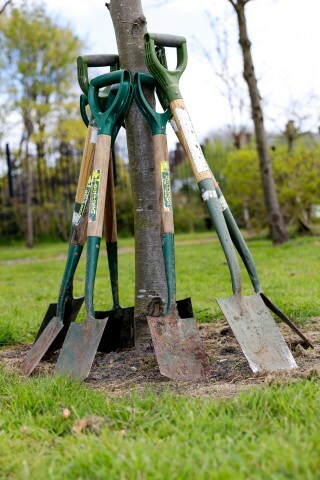 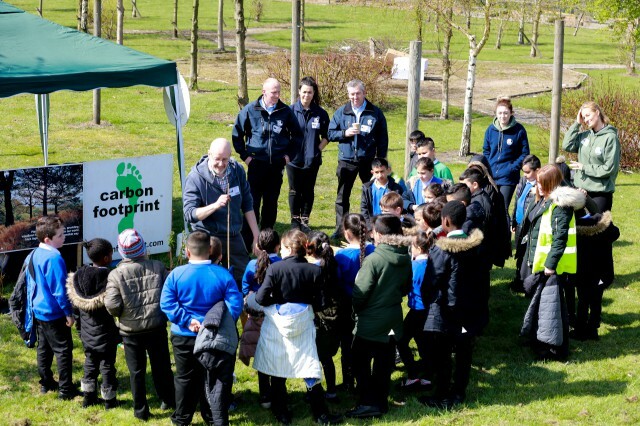 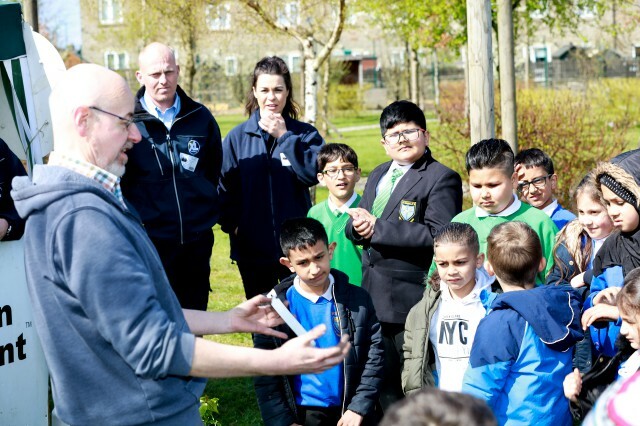 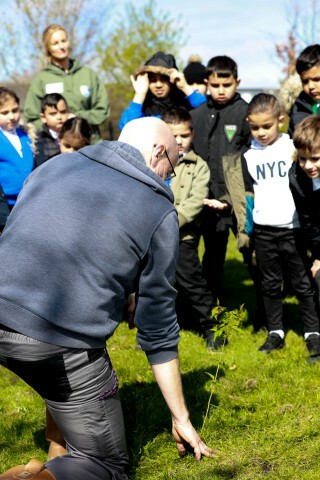 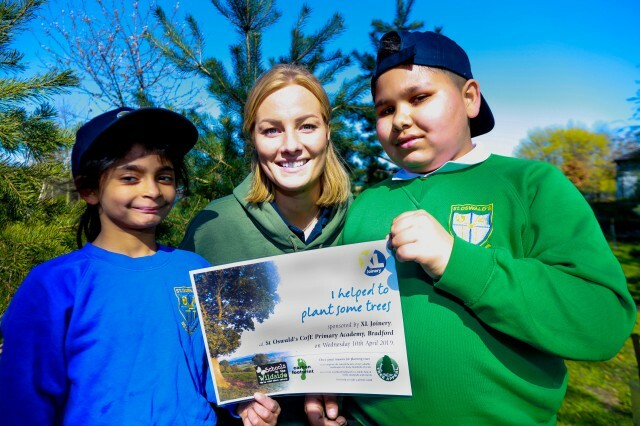 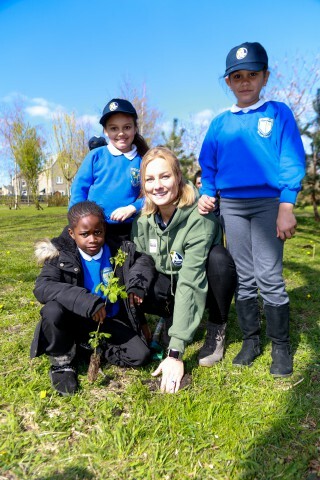 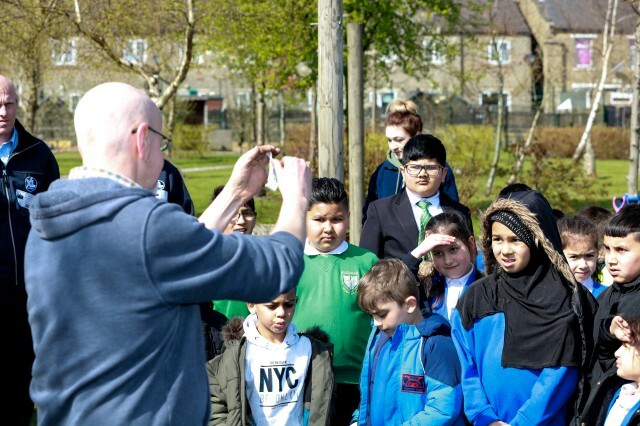 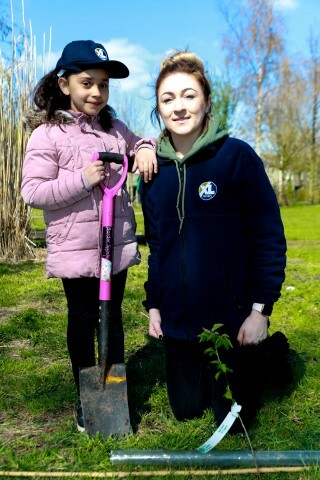 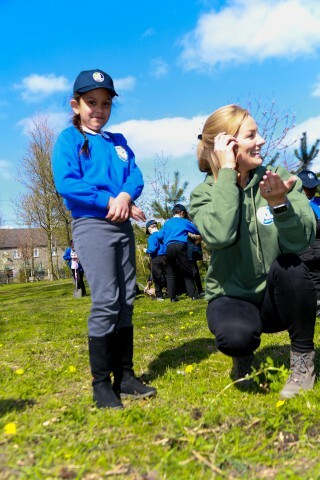 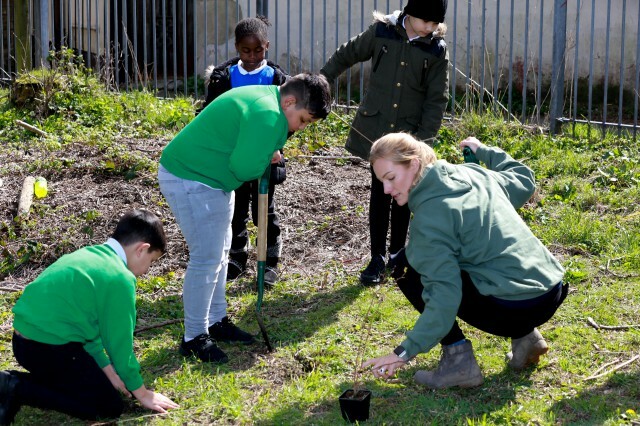 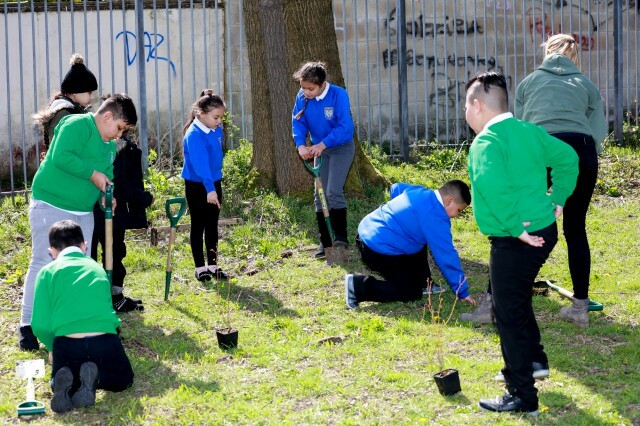 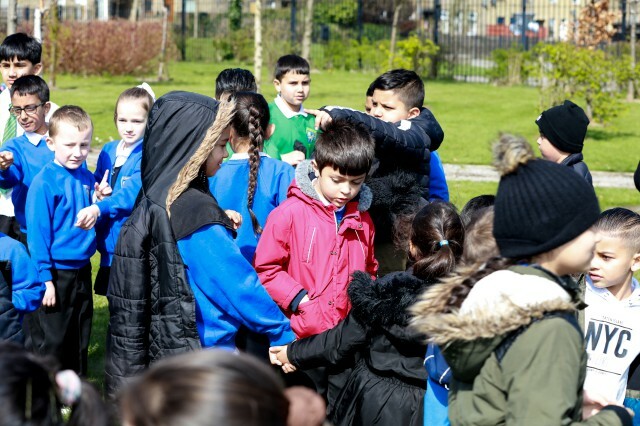 XL Joinery has teamed up with Carbon Footprint as part of their carbon management programme and with Tree Appeal, planting native broadleaf trees in schools. 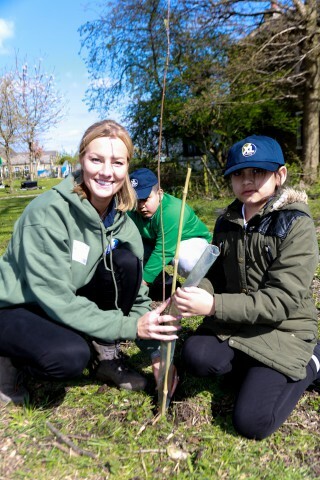 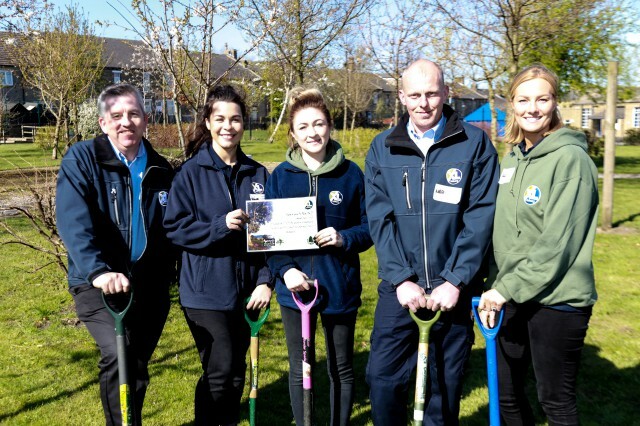 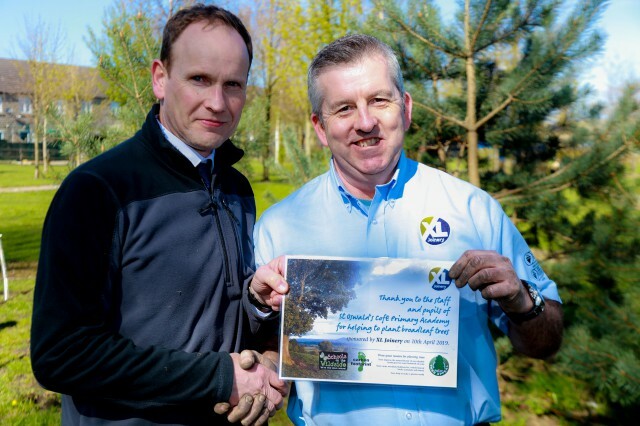 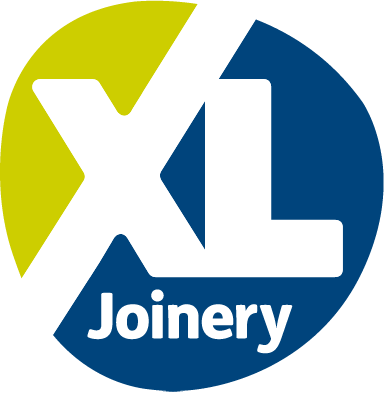 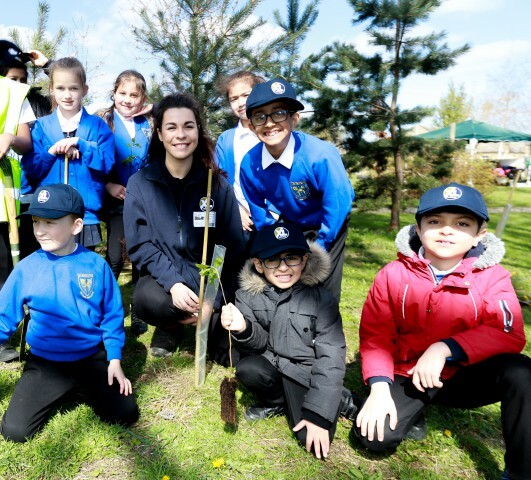 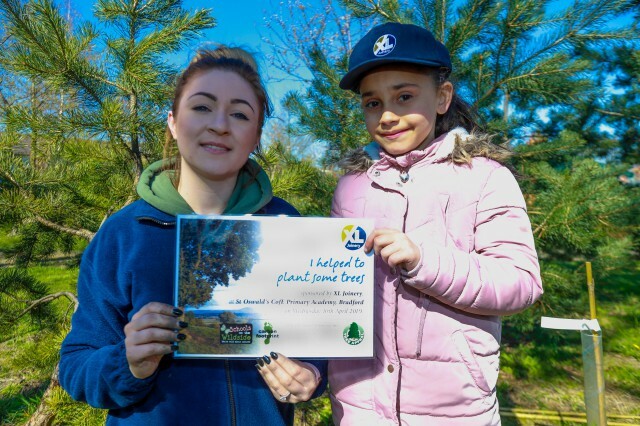 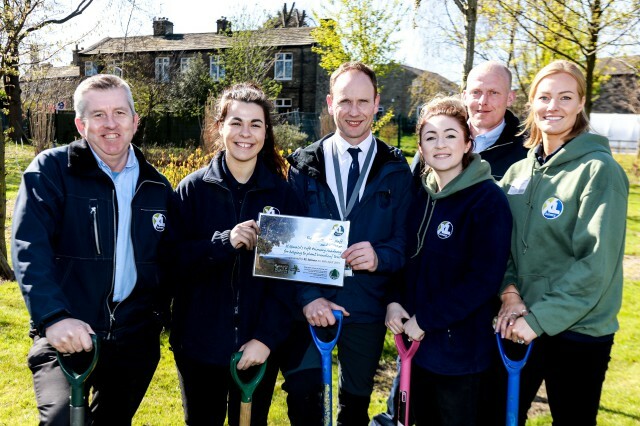 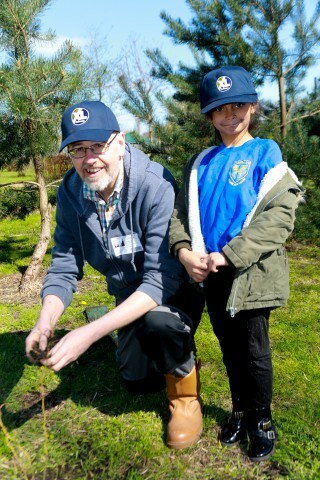 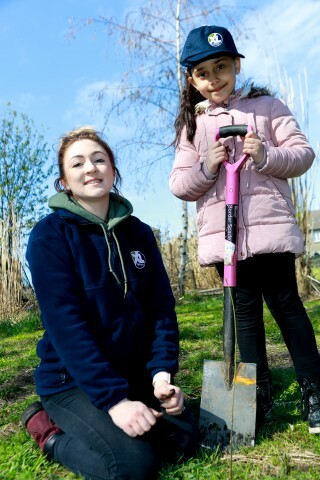 XL Joinery is sponsoring the planting of more than 100 trees at St Oswald's, demonstrating their commitment to environmental education and their aim of reducing their impact on the natural world.